Wantaway NBA All-Star Jimmy Butler said he was fired up as he addressed what transpired during a heated practice session with the Minnesota Timberwolves. 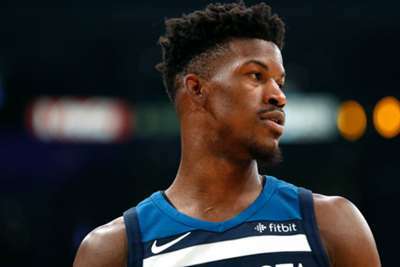 Butler – who is seeking a trade away from the Timberwolves – was not happy on Wednesday as he reportedly yelled at team-mates and team brass before leaving the court. According to reports, Butler scrimmaged with the Timberwolves' third team and faced the team's starters, while speculation claimed the former Chicago Bulls star taunted his team-mates by screaming "they soft". Amid reported tension with Karl-Anthony Towns and Andrew Wiggins, some players were reportedly "distraught" and "speechless" by Butler's actions, while others were motivated. Discussing Wednesday's events, Butler told ESPN: "A lot of it is true. I haven't played basketball in so long. "I'm so passionate and I love the game and I don't do it for any other reason except to compete and to go up against the best to try to prove that I can hang, so all of my emotion came out at one time." A proposed trade to the Miami Heat was close to being completed before a deal with the Timberwolves fell through last week. "Everybody's really, really positive about the whole thing," Butler said when ESPN asked him if he believed he fit with the Timberwolves. "But I know the truth, I know the truth, I know the whole truth, we've talked about it. "Everybody may not want to say it, but you know it, I can tell whenever you're stuttering or gathering your words, like, if it's the truth, boom, it's coming out right away, you don't need to think about how to say it. So, whenever you're thinking about how to beat around the point when I ask you 'is this water?' and you say 'Well, it's not fruit punch,' well obviously, but you know that that answer is water." Asked about his relationship with Timberwolves star Towns, Butler said: "Am I being tough on him? Yeah, that's who I am. I'm not the most talented player on the team. "Who is the most talented player on our team -- KAT. Who is the most god-gifted player on our team -- Wiggs. Who plays the hardest? Me! I play hard. I put my body [on the line] every day in practice, every day in games. That's my passion. Everybody leads in different ways. That's how I show I'm here for you." 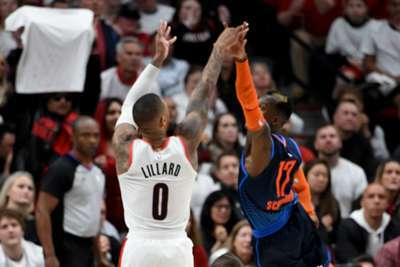 A source of Butler's frustration as he eyes an exit is his claim that the Timberwolves are not committed to winning, having featured in the playoffs last season for the first time since 2003-04. "I think that's the part everybody doesn't see," he said. "I'm not going to say no names. I'm going to be honest, if your number one priority isn't winning, people can tell. That's the battle. Now there is a problem between people. That's where the disconnect is."